Fashion designers are making the leap from catwalk to café with their own smartly designed places to eat and drink. Of course, these fashionable haunts are likely frequented by top models, designers and industry insiders. From Paris to New York, Milan to Auckland, here are our favourite fashion-themed cafés. Opening in 2015, this eclectic cafe was a collaboration between Prada and Hollywood director Wes Anderson. 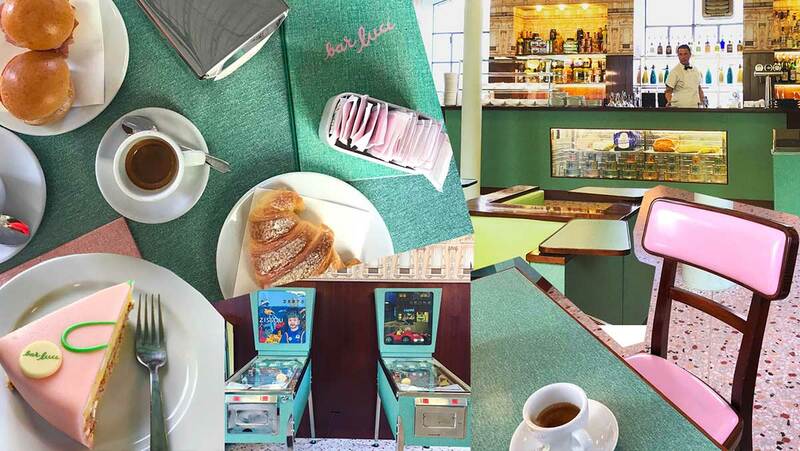 Much like the aesthetics of Wes Anderson’s films (The Grand Budapest Hotel, The Royal Tenenbaums), the cafe is perfectly colour coordinated with pops of millennial pink, colour-blocked Formica tables and mid-century wallpaper; the cafe even has decorative pinball machines. Bar Luce is a nod to the cafe’s film-star elite roots; serving delicate pastries, the Italian coffee and always has a fully stocked bar. On the top floor of the Chanel Ginza building in Tokyo and branded by Alain Ducasse, this restaurant is very elegant, very beige, and very Chanel. The collaboration between the chef known for his three-Michelin-starred restaurants and the fashion label started in 2004 and is still going strong, serving the finest French cooking with handpicked Japanese ingredients. Blue Box Café by Tiffany & Co.
Having ‘Breakfast at Tiffany’s’ is finally a possibility with the opening of the Blue Box Café. 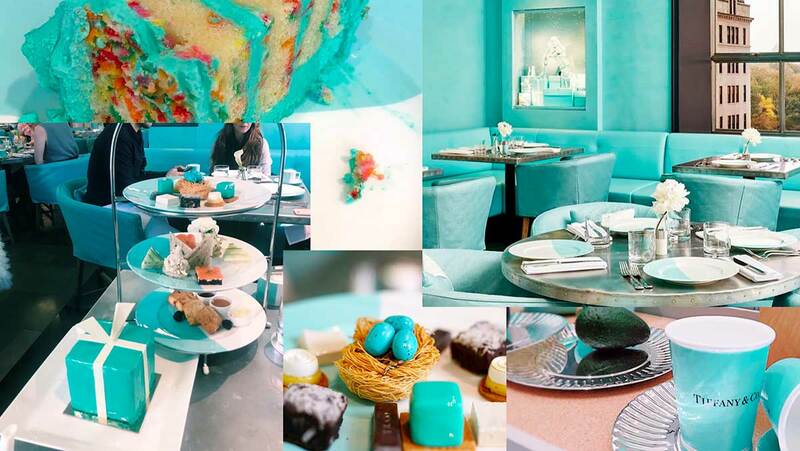 Opening mid-2017, the café sits above Tiffany’s flagship store and emits a sense of luxury and decadence with the walls, furniture and pastries all coloured Tiffany blue. We’re sure Holly Golightly could only dream of the window seat overlooking 5th Ave. 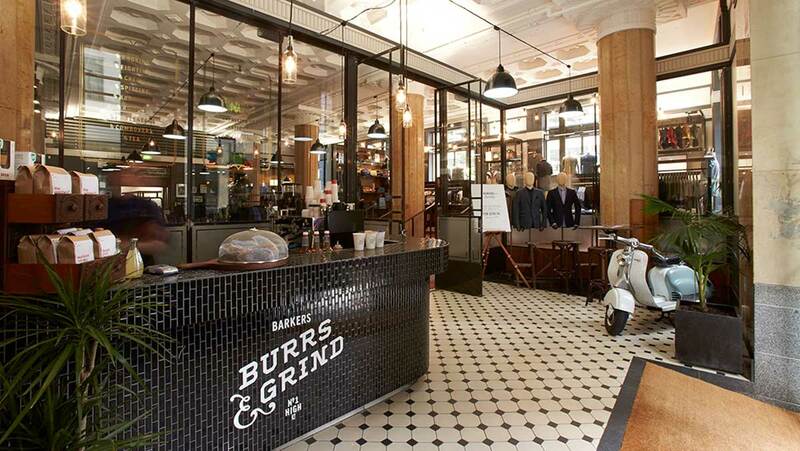 Located at the entrance of the Barkers High Street store, the café draws you in with the rich aroma of espresso. The building itself pays homage to city’s heritage with a dim lit, 1950’s inspired, ambience accompanying a perfectly laid out megastore for men including made-to-measure suiting, the groom room and timely service. 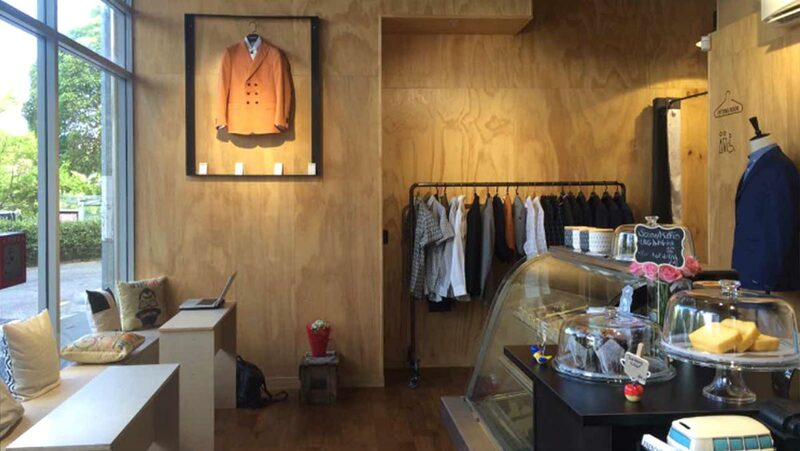 Fair to say this is a perfect one-stop show for every stylish coffee-loving kiwi man. 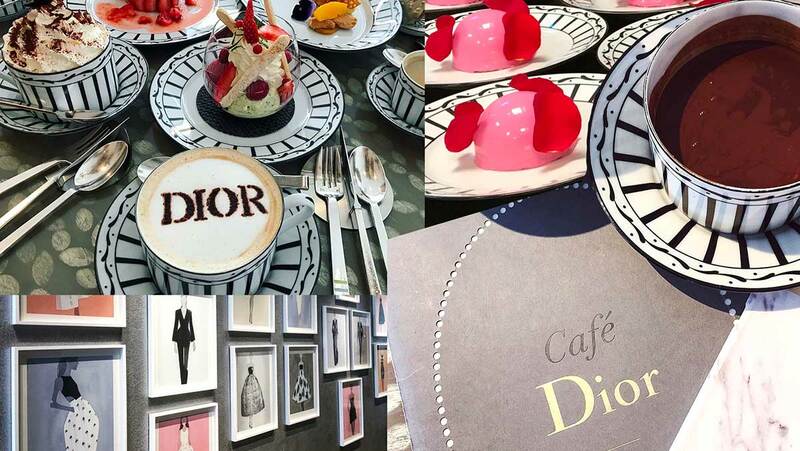 Under the roof of Dior’s Gangnam flagship store sits a chic café that incorporates everything Dior represents – timeless, beautiful and classic. 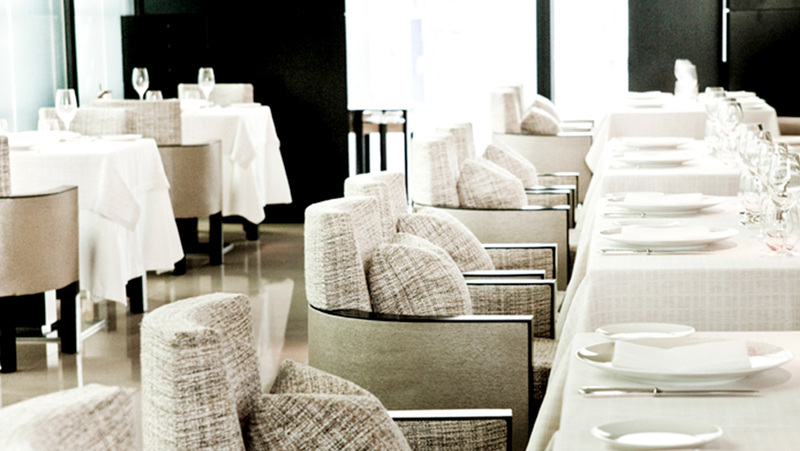 With simple dove grey interiors and tonal features, the café is simply luxurious. Café Dior serves decadent treats curated from the team at Pierre Hermé including a selection of picturesque macarons, chocolates, pastries and ice-creams. The ever-cool fashion duo, DSquared2, have opened an extravagant Milanese restaurant. With two stunning rooftop pools situated on top of the brands’ headquarters, captivating views from the capital of fashion, outdoor verandas and a 1930’s inspired restaurant decor, Ceresio 7 is as extravagant as its namesake brand. The kitchen is headed by former Bulgari Hotel chef Elio Sironi who reinterprets traditional local cuisine with unusual flavour combinations. If you just happen to be at Milan Fashion Week anytime soon, this high-end haunt is definitely recommended. 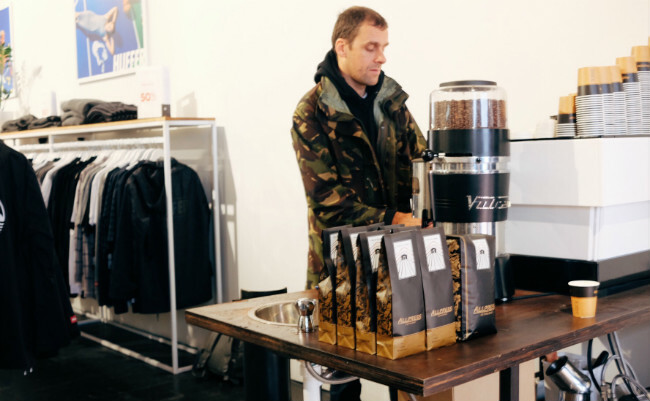 New Zealand’s very own streetwear label, Huffer, have converted it’s Britomart flagship store into a cornerstone coffee-shop. 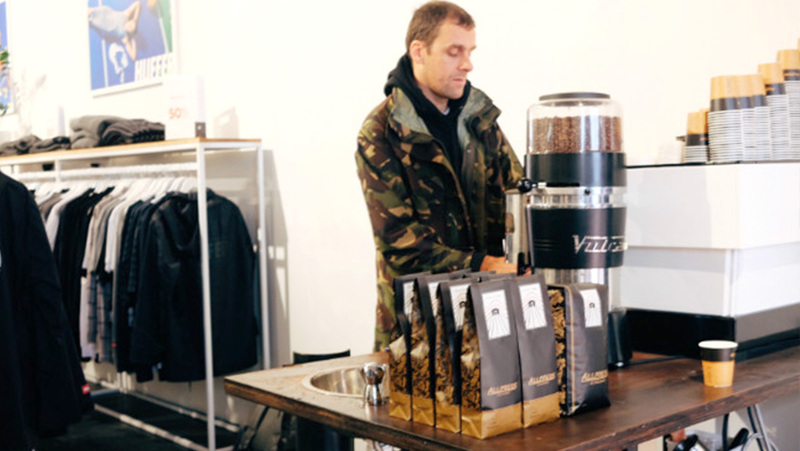 Offering a quality espresso and indulgent sugary treats as you browse the racks of their latest nordic striped T-shirts. The Huffer cafe also offers ‘Free Coffee Friday’, with unlimited coffee to keep you going through to the weekend. Even better, these savings can go towards the latest Huffer threads. 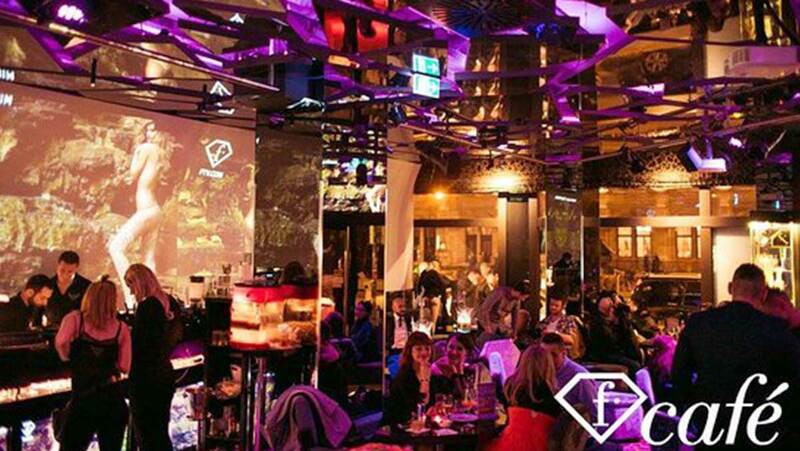 FashionTV’s luxurious bar and café is located near Vienna’s stunning State Opera House. Meet and mingle with the fashion elite and stimulate your fashion senses at one of their daily events. From fashion shows and model castings to the hottest parties, live music and more; choose your fashion mood and join the celebrations. More than just a retail shop, French83 has a hairdresser on site who can cater to both male and female clients, as well as a barista so you can get your caffeine fix while browsing the racks. Check, please! 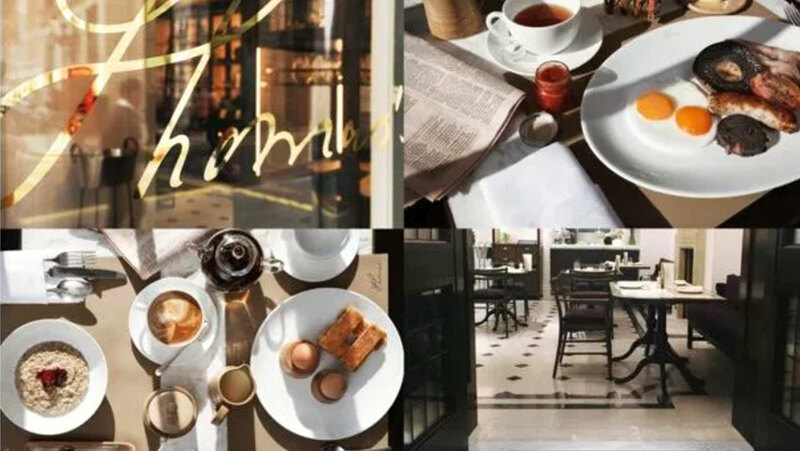 Named after Burberry founder, Thomas Burberry, the café is located in the London flagship store at 121 Regent Street. Thomas’s is an all-day eaterie, serving a selection of British classics with a twist – think lobster and chips. The ingredients are sourced from local farmers and artisanal suppliers. The interior is sleek and sophisticated but with a warm homely feeling that Burberry effortlessly infuses in all of their work.